Once the "grill" comes off the pond our Koi are at risk of being eaten by a heron. 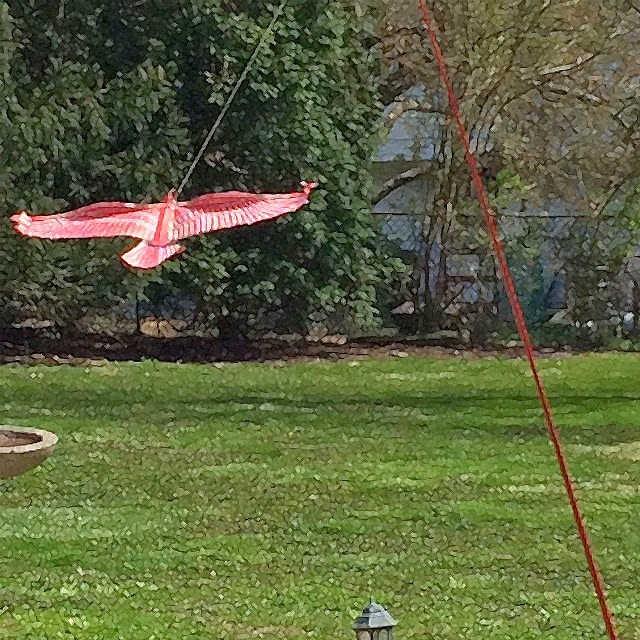 To help reduce the risk of this awful fate we bought a cardinal-on-a-stick! With the slightest breeze he whirls around- I'll let you know at the end of the summer if it helped or not!